Leaking pipes can cause extensive damage if left unaddressed. Fixing the leak as soon as it is discovered is important to preventing water damage and getting your pipe back to working condition. The first thing to do as soon as you discover a leak in the pipe is shut off the water supply. You should be able to turn off the supply valve at the pipe, but you may need to shut off the water from the main supply valve. This will allow you to think about how best to address the problem. 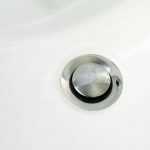 After shutting off the water supply, you will need to inspect where the leak is coming from and what type of leak it is. Depending on the extent of the leak, you can fix it yourself or call a plumber. You will need to eventually restore water to the pipes, so opting for a temporary fix for the leak may be the most reasonable option until you can arrange a permanent fix. Here are a few quick fixes for a leak in a pipe. This ‘fix’ is very much a temporary solution to buy you some time until a more permanent one can be sorted out. If you have no other options and need to restore water after discovering a pinhole leak, this is one of the quickest fix. This will not work on anything beyond small leaks and all you need is a pencil, duct tape, and some plumber’s putty. Simply insert the pencil head into the hole and break it off at the tip. Then wrap the pipe around the hole in duct tape and apply plumber’s putty around the hole and allow it to set for a couple of hours. If the area appears secure, turn the water on. You will want to address the problem permanently as soon as possible. This is also a quick fix for a leak, and may have slightly more reliability than the broken pencil plug, but this may depend on the leak and the quality of the patch. Take a piece of rubber tube, such as a piece of a hose or bike tube and wrap it over the hole in the pipe. Next, take some strong clamps and tighten then over the rubber tube until sufficient pressure is applied to keep water from coming out of the leak. For added pressure, secure small blocks of wood on each side of the pipe over the rubber and then apply the clamps. Done correctly, this can be an effective temporary fix. Pipe clamps are mechanisms designed to seal leaks. These clamps feature a rubber gasket inside the clamps which can be fitted and tightened securely over the pipe. Installing these over a leak in a pipe is a much more reliable fix, but you may not have these specialized clamps just lying around. Make a trip to the hardware store and pick up a couple pairs of pipe clamps in preparation for a leak. This can be especially handy if your home has galvanized pipes, as these pipes corrode from the inside and can be prone to leaks over time. With these clamps, you’ll be ready for a quick fix. Just set them over the leak and tighten the screws to hold the clamp in place.